Conservation Lot no rear neighbors Xbox 360 and game library, foosball, card table and gumball machine. this room is air conditioned. Inside this villa features a dining area open to the family room with cathedral ceilings, an open contemporary plan. 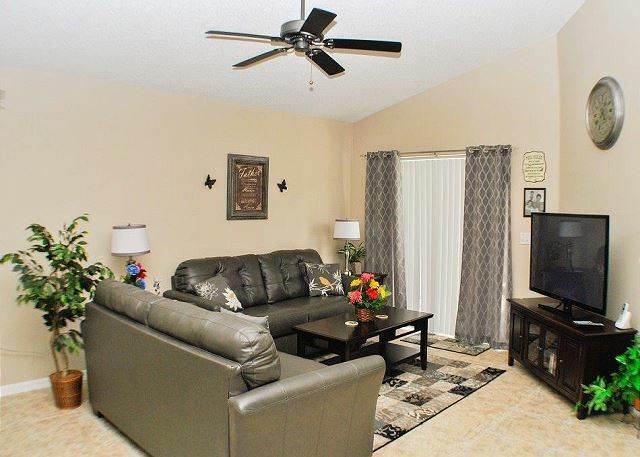 The cozy family area features a 46' high def cable TV and DVD player to kick back and enjoy a movie during those relaxing night. A fully applianced kitchen features all utensils and appliances to cook in your vacation home instead of eating out daily, a true money saver. 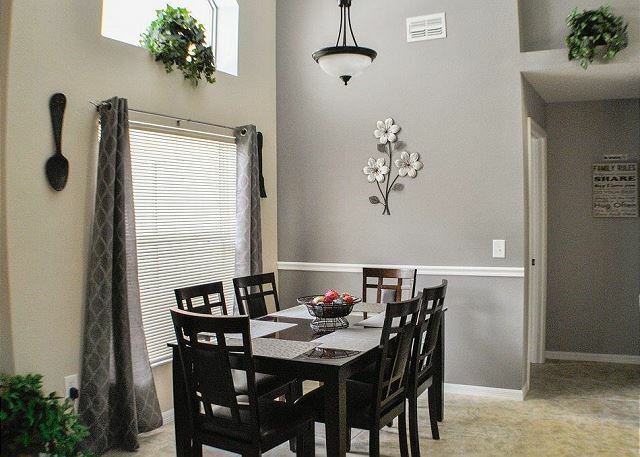 Off the breakfast nook area you will find 4 bedrooms to relax your head. In the back of the villa is a beautiful king suite with private bath and cable TV. 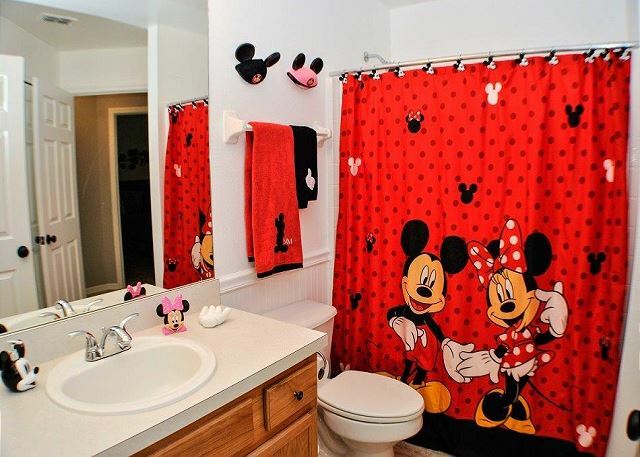 Down the hall are 2 nicely appointed kids bedrooms that both share a full size Mickey bathroom. Toward the front of the villa is a queen suite with cable TV and full attached bathroom, perfect for added privacy for those additional people in your party. 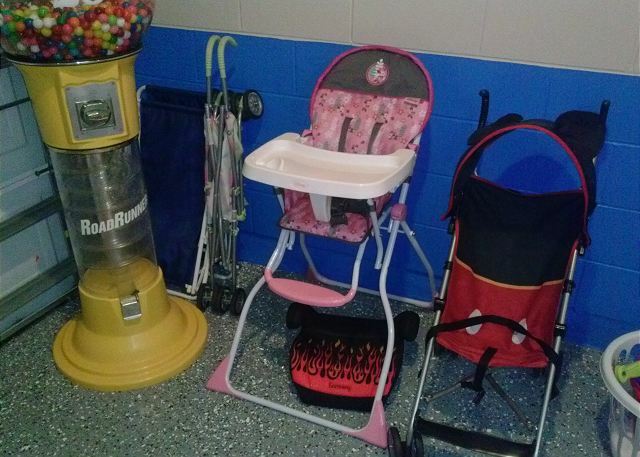 Home is equipped with high chair, crib, booster seat and 2 strollers. On those day where you break from the parks, hang out in the gaming area and shoot some pool or have some XBox 360 battles on the 42' HD TVv! It get's better! 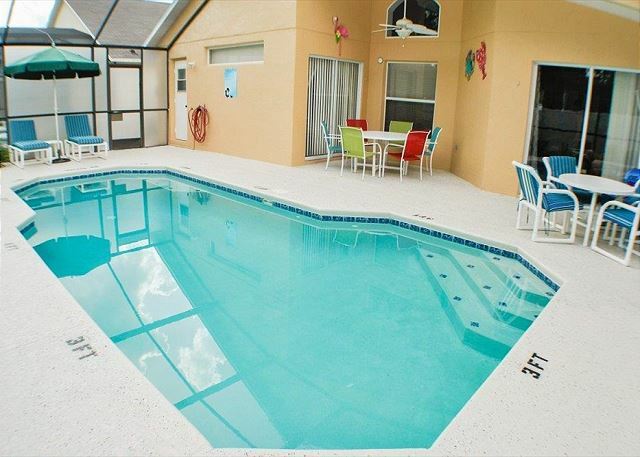 Make your way outside on the screened in pool deck to keep out annoying bugs and sink into this ocean blue pool! 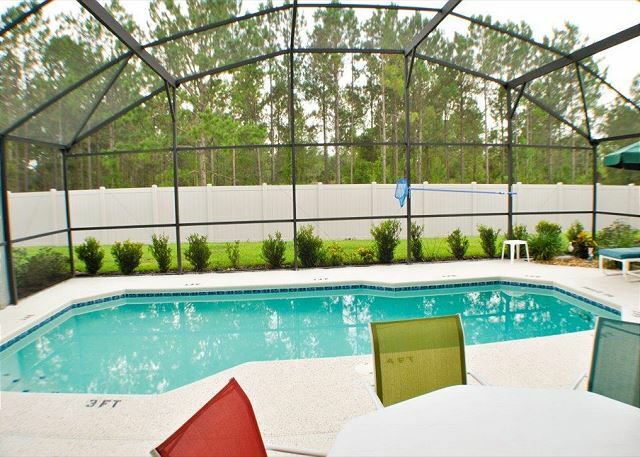 Perfect to cool off in and relax or catch some hot Florida sun rays on the deck. This is the perfect villa to get away, clear your mind and have a great time! 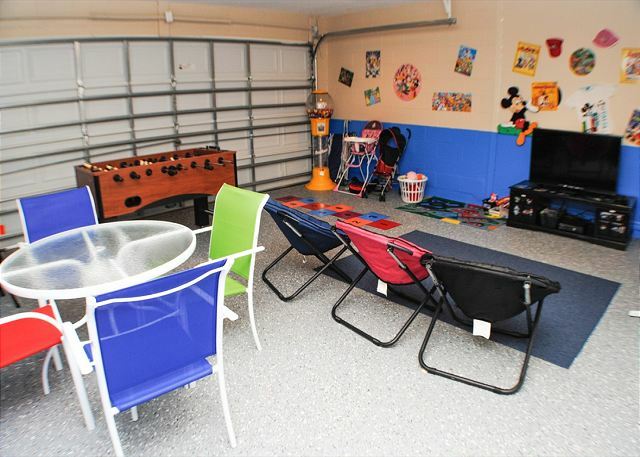 Excellent Family Friendly Vacation Home! This house was exactly what we needed on a family vacation. The house was comfortable and clean. We enjoyed our time on the patio and in the pool. My daughter LOVED the selection of princess dresses to choose from. Vacation2Florida was very responsive and friendly, even when we called right after arriving to find out why the AC wasn't working, and within an hour a service man was there to fix it. 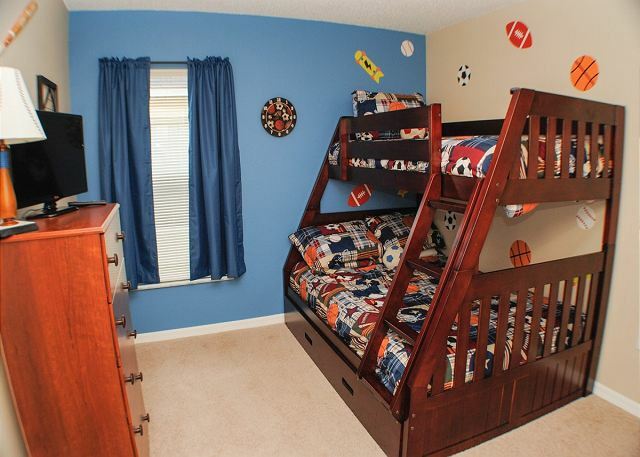 Overall, we were very satisfied and will certainly consider returning to this home on our next family vacation! This property was as advertised and we had a great time. This house was perfect setup for our extended family. Guests included myself, hubby, daughter and her hubby, and their 2 kids ages 3yrs & 6mnts. The princess bedroom includes princesses dresses in various sizes - which the 3yr old loved - especially since there were several Rapunzel choices. There were also a lot of books for her to read. There was a crib and a pack-n-play - very useful. There were beach towels for swimming as well as water wings if anyone needs them. There was beach toys as well in the play room. The house was clean and neat. They did not include include salt and pepper, and only 1 roll of very cheap paper towels and toilet paper - which required we purchase more since we went thru the cheap stuff much faster. We wish the doors had included screen doors since this would have made keeping bugs out much simpler. Also the ceiling fan in the front spare room the ceiling fan make an electronic whining noise. The property might not look like much from outside but inside it is lovely. Very clean and has everything you need for your stay, but I have elderly parents and brought lots of things I did not need. 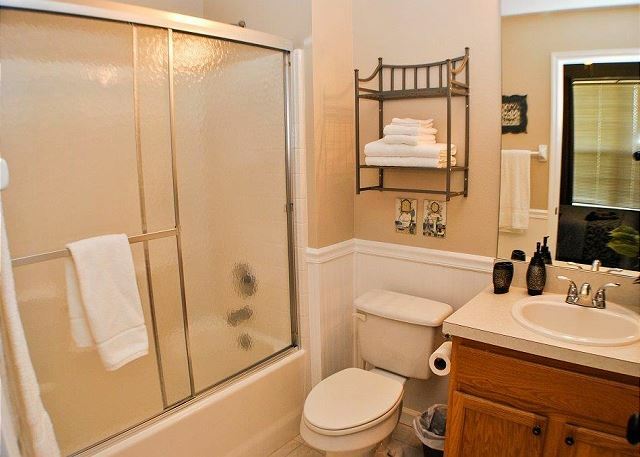 The rooms are neat and clean and so are the bathrooms. Pool area very nice too! 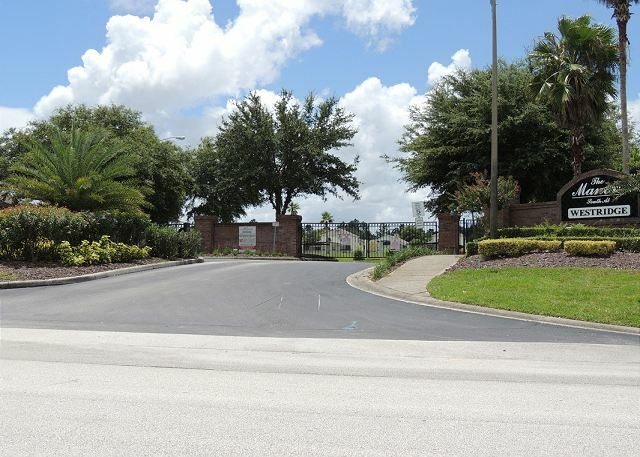 The home is located in a gated community which was very quite and safe, we loved it. 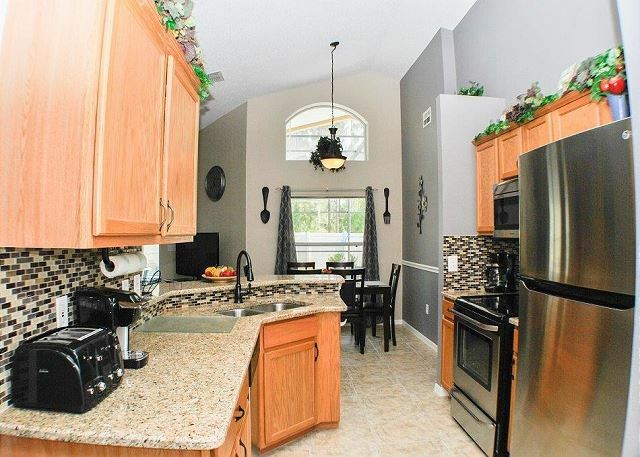 It was in a great location, close to WalMart, Ihop, gas stations, Dunkin Donuts, and Disney! I was there right before hurricane Irma was going to hit, and the help the management company gave me was worth more than I can say. This company is the best I have every worked with and I will not go anywhere else, EVER! Thank you Vacation2Florida, you made my stay safe and stress free. 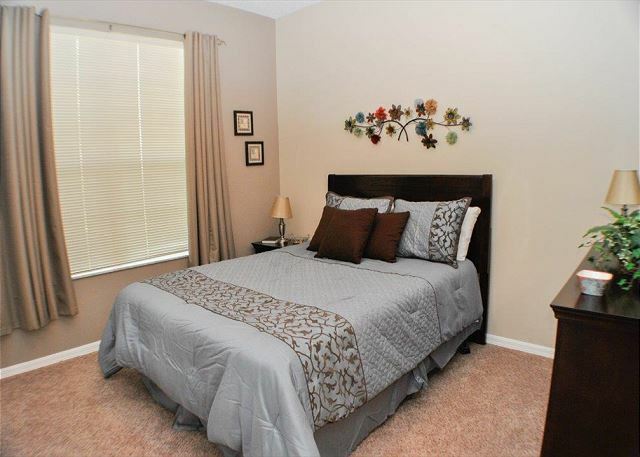 Our location was about a 30 min drive to attractions which was expected and convenient. The kids enjoyed the pool and spent every spare moment swimming. Some inflatables were provided but we were glad we brought several from home. We did get kicked out of the pool 1 day for an hour for cleaning which maybe could've been scheduled after check out. Bedrooms were good size and beds were comfortable. Everything was clean and we'll maintained. Game room was fun for a little Foosball. The air conditioning stopped working at one point (Dead battery in the thermostat) We advised management who promptly fixed the situation. Thank you! Hopefully everyone can get on the same page about check out time. Emails and provided info show 10:30 but our last day we were told 10:00. It didn't cause an issue as management just came back but info was conflicting. We would definitely recommend a stay here at Bella Villa. I'm quite picky about where I stay. I hesitated to write this, only because I don't want to give away our gem. This was the perfect place for us. It was clean, well stocked, and quiet. The lights were all labeled, and it truly felt like home. The location wasn't too far from Disney, using a traffic app never had us more than 30 minutes away (and if you've ever waited for a bus at the end of a day, you know that's not bad at all). We used WalMart grocery pickup and didn't need to do much shopping there at all. Even dress up clothes and toys? Outstanding!! The only tiny thing I would request would be a racing game with the video games. My daughter wasn't interested in the sports games. We wouldn't hesitate to book this house again. I'm ready to go back tomorrow! We found Bella Villa last minute, after we realized our hotel was a total dive! The booking agent was so helpful! The home was so nice; it made us feel right at home. We saved money because we didn't have to eat out for every meal. We will definitely be return customers! Make sure to get the heated blanket for the pool, so it is warm! we spent a week here at the end of september. The house was spacious and very clean no issues at all. it would have been nice to have a few more things there. Dish soap, salt/pepper a few spices for cooking. However understand that may not be possible. it was a bit farther from the parks than expected. 25-30 to universal and 20-25 to disney or so depending on traffic. Shopping is close for groceries etc. (walmart/target/publix-10 mins at best). Th bottom line it was good. House was beautiful and great location. Very Clean and Vacation2Florida was a great help and accommodating! Beds were very comfortable. 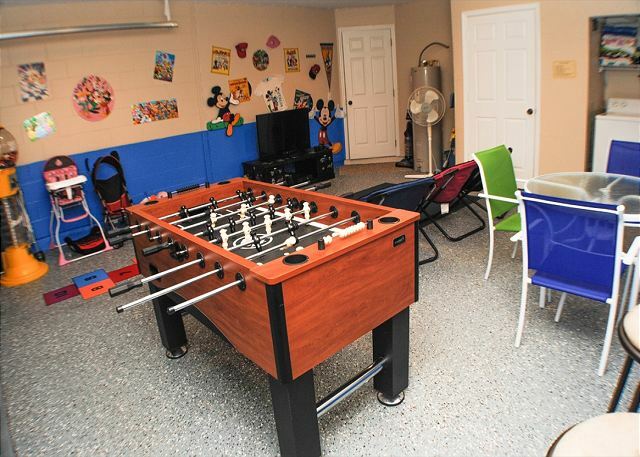 Kids loved the game room and pool. Would for sure stay again or another property managed by Vacation2Florida!! Our stay at Bella Villa was awesome! The house was very nice and cozy! 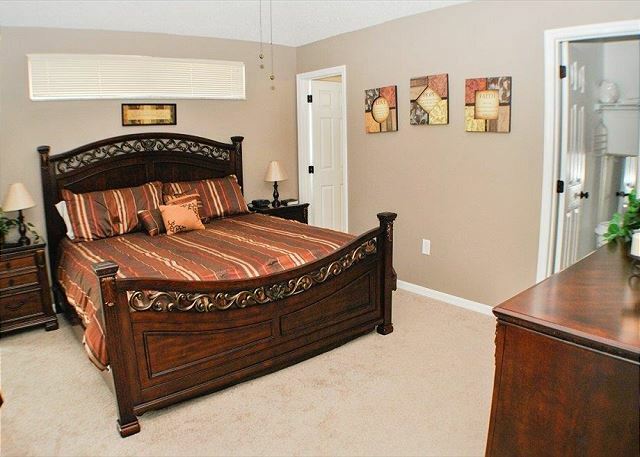 Very clean and had everything you could possibly need to make our week there very comfortable and relaxing!! It was close to the parks, stores and restaurants. We had no back neighbors and the pool has a private screen for when you are out swimming in the pool. Overall great experience with the booking company and stay at Bella Villa! Would highly recommend and would gladly stay there again!!! the kids did not want to leave the house to do anything else. 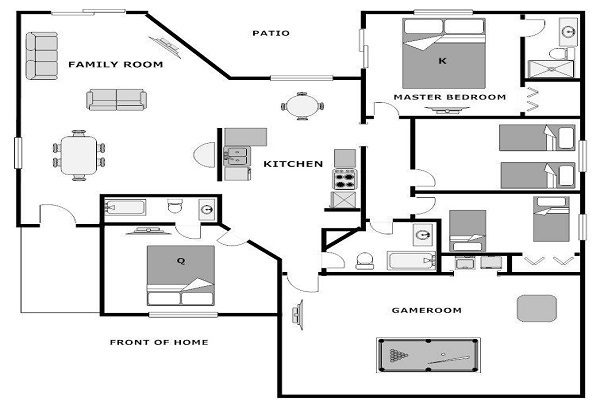 i highly recommend this house because its super clean and has everything you could think of. trust me if you kids they will love it. Fanatstic! It felt like home from the moment we walked in the door! 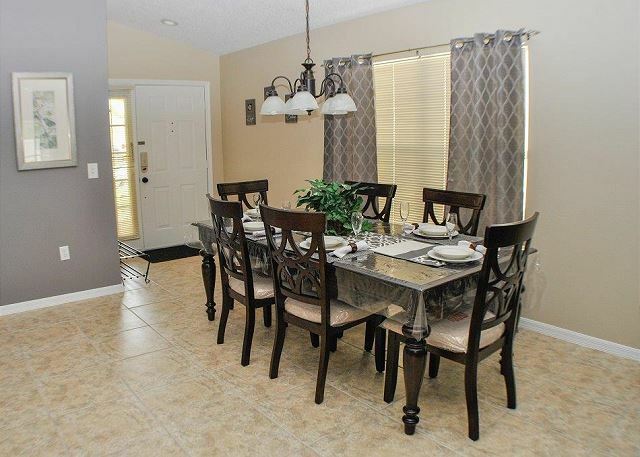 Recently we took a trip to Orlando and had the pleasure of staying at this wonderful home. When we arrived, we were pleasantly surprised by the cleanliness of the home. Everything was in tip top shape. 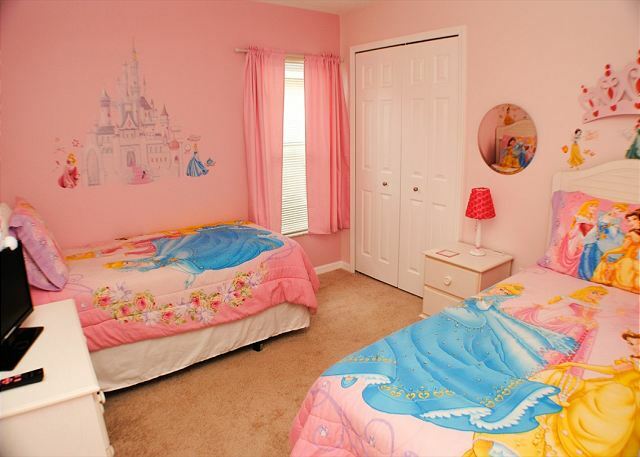 My girls stayed in the princess room. They were ecstatic when they opened the closet and found nearly a dozen princess dress-up items! Everything was labeled nicely as well, so finding items was a breeze. The extra crib was more than wonderful for my 2 year old! The owner has surpassed any other home we've stayed at before with all the amenities that were at the house. The pool was amazing and it was the first thing we did every morning. 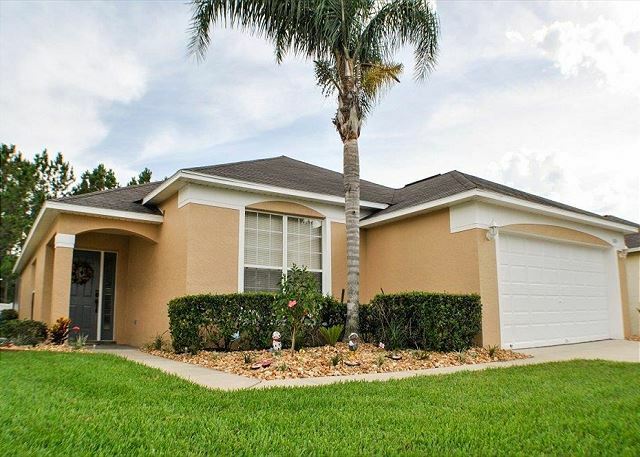 The house was located conveniently off the highway for easy access to and from the orlando area. It was a little further from where we stayed the last time, but I was more than thrilled to not sit in traffic. 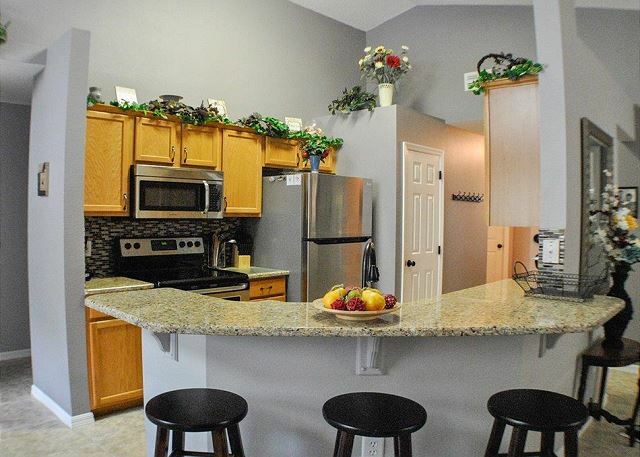 I would recommend this house to anyone staying in the area as it was close to all attractions and parks. Thanks so much for your hospitality! Our family had an amazing time as your home! This home was very clean and nice. It was in good proximity from all attractions. I would recommend this home to anyone. Pictures don't do this home justice. The decor was beautiful, the rooms were all nice sizes, and the extra amenities were a plus. Thank you soooo much for allowing us to make special memories that our kids will remember for the rest of their lives!! The home was absolutely beautiful and clean. 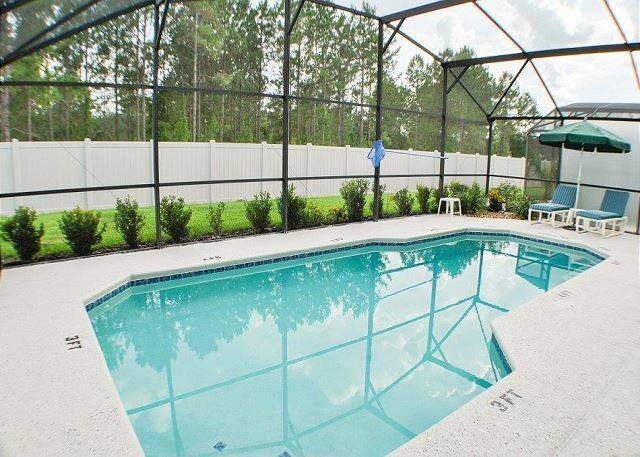 We spent most of our days by the heated pool taking in the Florida weather. We plan to come back and this will definitely be the place we will choose to stay!